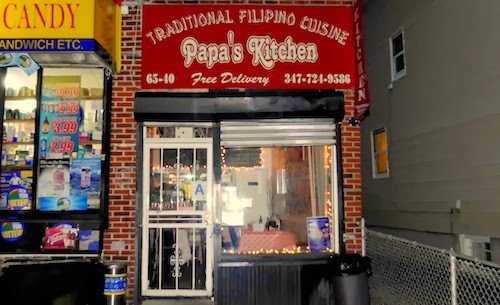 Papa's is in a space that has gone through multiple iterations of Filipino restaurants over the years, but the most current is now its most successful, with a New York Times article to frame for the mantel as well. Probably the only negative that can be found in the place is only reserved for people who don't enjoy belting out karaoke songs, for the owners here will press you hard to sing. We had to turn down the microphone on a slow weekday night at least half a dozen times. We could not turn down the chance to start our evening with some dynamite ($7.95, below), which is a name for a thin-skinned roll loaded with chillies and cheese. These were far from explosive, but with the sauce make for good warmup snacks. 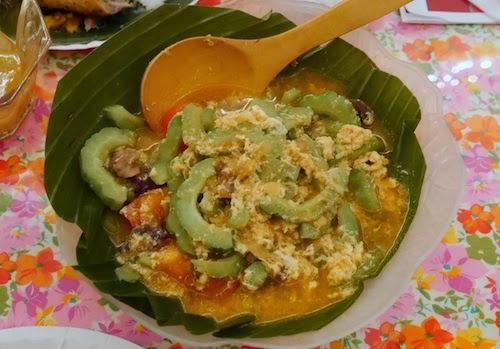 The most oohs and ahhhs of the night were brought out from the laing ($10.99, below), a dish of taro leaves cooked in coconut milk and probably a healthy portion of sugar. Each bite gave us a warm and fuzzy feeling that would not go away. 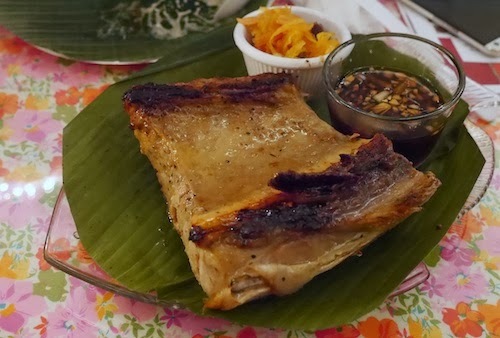 The grilled tuna belly (seasonal price, below) also pleased the group and was easily eaten alone, or dressed with the sauce and vegetable that accompanied it. This is the kind of light fish that would have been better shared between a table of two for the simple fact of getting to eat half. 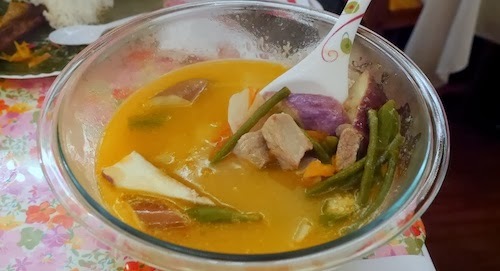 The sinagang na baboy ($10.99, below) is a pork soup that attacks your taste buds with a salty and sour assault. The bowl is enormous and our table of six easily had a decent enough portion each. It is hard to eat Filipino and not order a plate of adobo ($8.99, below) the chicken dish that is the de-facto national meal of the country. 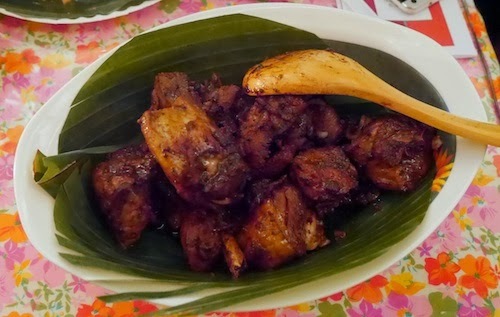 The version here is slightly dry but marinated to perfection with their homemade recipe. 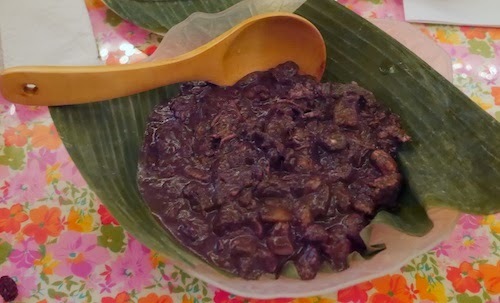 Beef pares ($9.99, below) is usually street food in the Philippines, and that is enough for me to be interested. 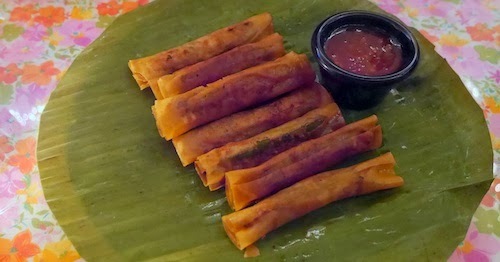 It usually is served "paired" with another dish like fried rice or garlic rice. It is almost a stew but not, and enjoying it almost automatically brings to mind what it might be like at a table in a sweaty night market. 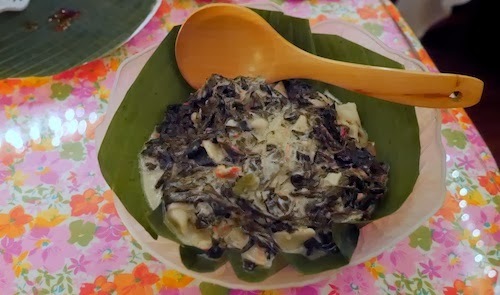 I unfortunately have no notes from the bitter melon dish (below) we ordered, but remember that others enjoyed it more than I did. I thought the bitterness was overwhelming and can't remember any of the spices or flavors from the rest of the dish. 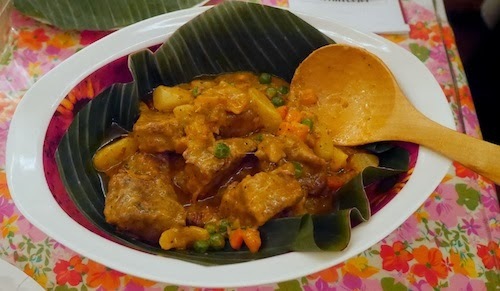 As our stomachs expanded, the dishes kept coming, and up next was the kaldereta baka ($10.99, below), a classic Filipino stew of beef, potatoes, carrots, and peas cooked in a tomato-based sauce. Making sure we had no room for dessert, our last dish came out with a simple question to me: "Do you know what this is?" I said I did and told the lady not to say anything further just in case anyone else had a problem. 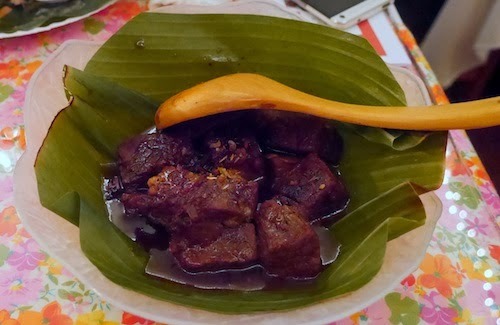 Dinuguan ($8.99, below) is made from pork blood, but is always so well spiced and stewed that it is not hard to eat for anyone but the most finicky eater. We polished it off without a problem. My last recommendation might be the most difficult depending on your friends: Find a good singer who loves karaoke and bring him or her along to take the fall for the team. Then you can spend all of your effort eating and less politely declining the invitations to stand up and belt one out.